See Request Materials for more information. 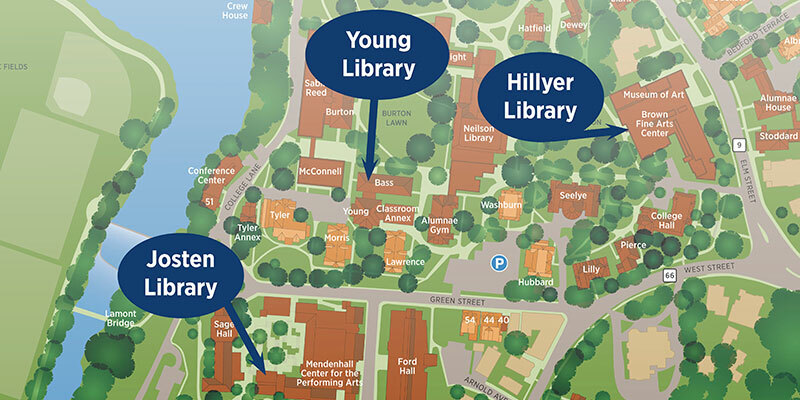 Learn about Smith library services at Young, Josten, and Hillyer Libraries while Neilson Library and Alumnae Gym are being renovated. During construction of the New Neilson Library and Alumnae Gym (2017-2020), Young Library is the central campus library and home to Special Collections. For more information, see Locations & Study Spaces. SmithScape is a tool to help students find places to study across campus that meet specific criteria, such as lighting, ambient noise, printers, whiteboards, outlets, vending machines, etc.